There may be no scientific proof yet to back up claims that cleaning your vents can result in significant and direct benefits. But, many homeowners who have contracted reputable vent cleaning contractors claim that they are happy with the results. Indiana vent cleaning experts believe that there are benefits to the cleaning process. This is particularly true if a professional does the job. According to the National Air Duct Cleaners Association, you should have your vents cleaned every three to five years, depending on several factors. These include your location, how frequent you use the equipment, and if anyone in your household has asthma or allergies. You suspect that there is mold growth in your vents. You notice vermin infestation in the house. You see rodents or insects getting in and out of your ductwork. You notice visible dust “poofs” released from the vents. A good suggestion is to have a look at the air vent register. If there’s black debris on the outside, it means there are pollutants that get recycled over again through the system. That is a sure sign that your system is soiled excessively. While the EPA does not say that vent cleaning is a sure solution for health concerns, there is mounting evidence that cleaning can provide some benefits. Vent cleaning can reduce the presence of the primary enemy of people with respiratory ailments: dust. The same is true for people who are allergic to dander and pollen. These elements are microscopic and commonly thrive in the air ducts. Thorough cleaning will get rid of lots of them. Follow the tips presented above to enjoy the benefits of cleaner air in your home. Can Home Indoor Air be More Polluted than Outdoor Air? 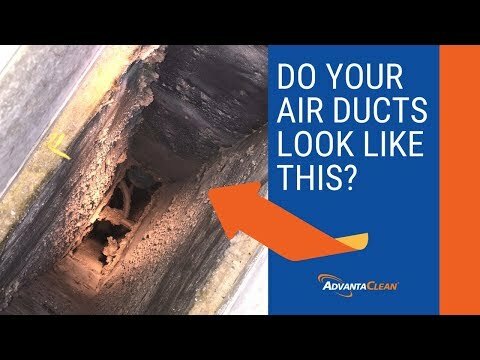 Air Duct Cleaning Services - Should I Clean My Air Ducts?